Requests for interviews and articles should be made via the contact form. Will robots put us out of work? by NewsFour.ie on HUMANS NEED NOT APPLY at Science Gallery Dublin. Features quotes by Alex May and Anna Dumitriu on their Antisocial Swarm Robots installation. 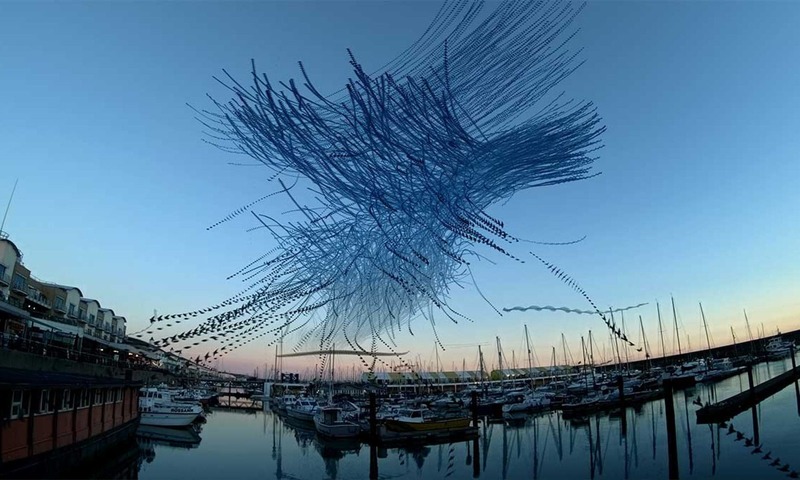 “As well as working on his own video mapping works for exhibition in galleries across the UK and further afield, he is also responsible for the software behind each work, called Painting With Light. 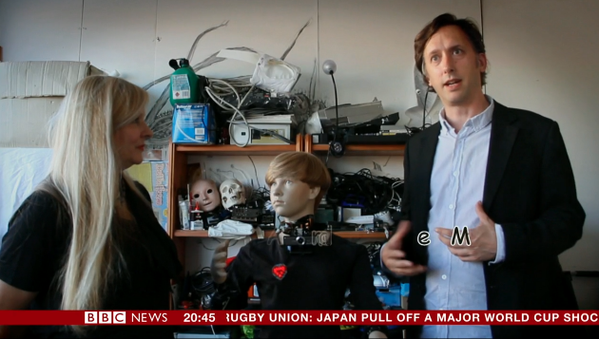 Alex May and Anna Dumitriu were interviewed for BBC Arabic’s flagship technology program 4 Tech about their ongoing collaborative art project My Robot Companion. The segment starts about 7 minutes in and lasts for about 6 minutes. 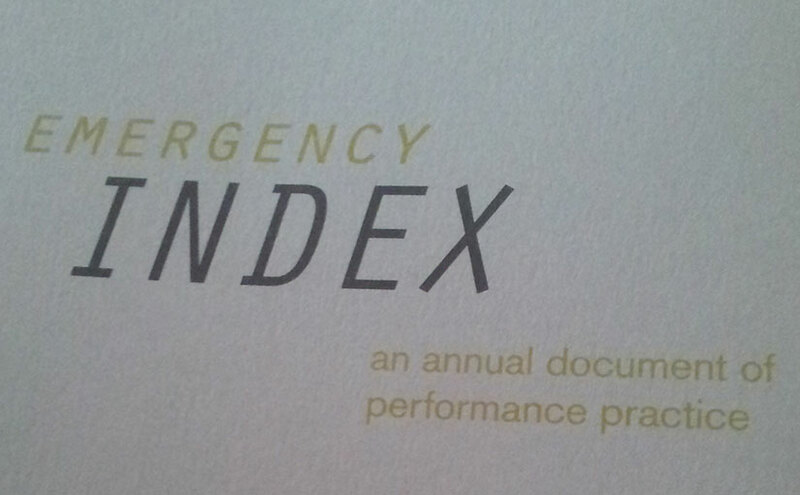 Alex’s Painting With Light performance at Tate Modern is featured in the third volume of Emergency Index.